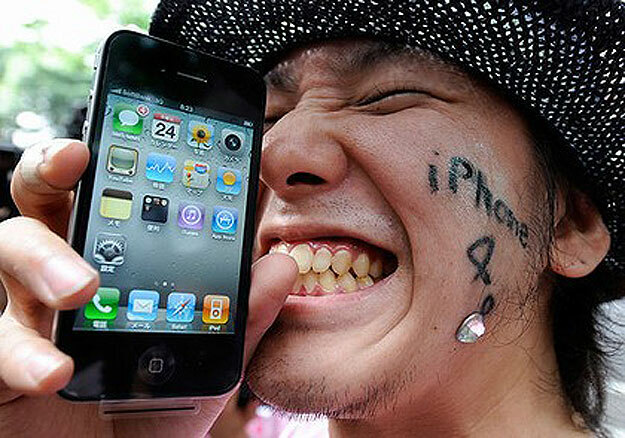 Maybe you have an iPhone 4, and you're very happy with it. Just a little wear and tear, but no need to upgrade yet. Maybe you're waiting for the iPhone 6 to come out, but when??? You'll probably find this video - Make your old iPhone run like new - by Donald Bell very useful. It has some tips and tricks to clean up your iPhone and make your life a little easier. You know that game that was FREE and looked really fun in the App Store.... had to connect to a WiFi network to download it.... yeaaaaaah, you never play that, do you? By deleting that huge, space-sucking game off your phone, you can make it run a little faster. Also, if you're having trouble with your home button, here is another video - Four ways to fix an unresponsive iPhone home button - by Sharon Vaknin. Sharon offers four.... progressively more intensive.... options for making your home button work nicely. Check out people's comments at the bottom of the page; these tips worked well for them! Hope these tips make your phone experiences a little better!